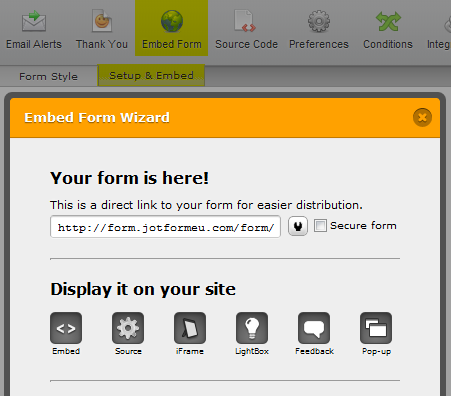 We are not receiving forms submitted on our new landing pages. We setup new landing pages and are not receiving the leads submitted. We would also like to identify each lead source/landing page - how do we do this? Our original domain is www.alarmpros.com with the jotform that works. We would also like to tag each submission to unique URL's - how do we accomplish this? You would need to create a form for each page. If the form is the same you can just clone it as many times as you want and then rename them with a unique title in order to indentify them . It seems that form code on your website is outdated. Please make sure that you are using fresh code. What about your second question, please take a look at the following articles to find out information about possible work arounds.